Recently refurbished Arts Cafe, selected Tulip arm and side chairs for indoor and outdoor use with Travertine table tops on Fresco stainless steel bases along with Liberty Latte stools for the Dry Bar Areas. The Furniture fit out at the Olive Cafe consisted of Osborne Waterfall resin wicker chairs and the SMF table top range. 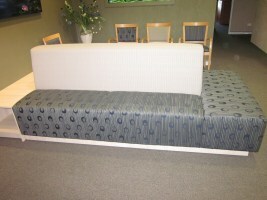 Two table frame styles were used the Nest and Fold and the Roma 4 Way. 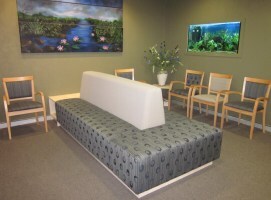 Custom made Booth seating and Storage units. Mathes European Beech armchairs.